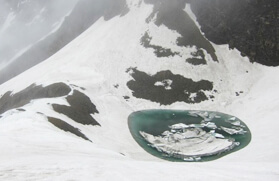 One of the glacial lakes that is located at an altitude of 4,750 meters, Kedartal with its sprinkling and pristine waters is a popular trekking destination in the Garhwal Himalayan region. 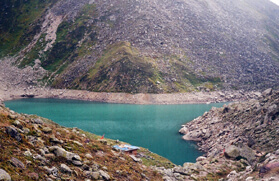 The lake, which is fed by the snowfall over Thalay Sagar at 6,904 meters, Meru at 6,672 meters, Bhrigupanth at 6,772 meters and other surrounding peaks, is the source of River Kedar Ganga, one of the major tributaries of River Bhagirathi. 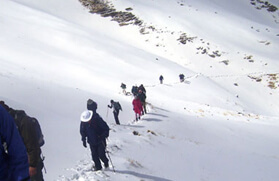 The Kedartal Trek, which is one of the spiritual treks in the Indian Himalayan region, is also a spellbinding journey for the travellers' from all over the world. 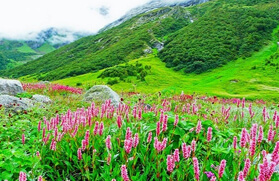 The route passes through the scenic Himalayan birch forests, alpine meadows, bubbling streams and glaciers, thus making the journey beautiful, adventurous and strenuous. All though the trek to Kedartal stretches about 17 kilometers, but the steepness of the trail and gradual ascent over 3 days as well as the altitude makes it one of the moderate treks in the Garhwal Himalayan region. 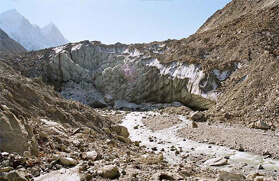 The Kedartal trek commences from Gangotri at 3,415 meters. Gangotri is one of the popular Hindu pilgrimage sites and also one of the four sites in the Chota Char Dham pilgrimage circuit. 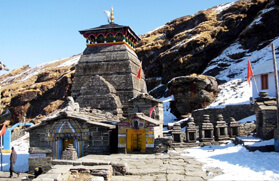 The shrine that is dedicated to Goddess Gangotri is the major attraction. 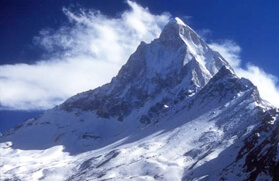 The trek to Kedarnath from Gangotri turns to Bhoj Kharak at 3,989 meters. Thereafter, the route follows a strenuous walk uphill that leads to Kedar Tal. For the campers it is the most unforgettable experience. From the vicinity one can capture the spectacular view of the massive Himalayan peaks that flank the lake from all sides. Being in its vicinity one will surely talk about it as a part of heaven. 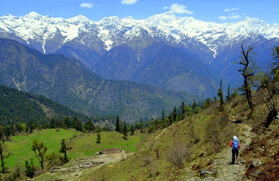 The Kedartal trek, being one of the moderate treks in the Garhwal Himalayan region, is recommended for trekkers having prior trekking experiences. The best time to hit the trailing tracks to Kedartal is from the month of May to early November. We will board an AC train from New Delhi railway station at 06:50 hrs in the morning for Haridwar. On reaching Haridwar, meet our tour representative who will be there for your welcome and thereafter to transfer you to your already booked hotel in Rishikesh by road. The drive from Haridwar to Rishikesh will take around 45 mins. On arrival, check in at the hotel and rest for some time. The evening is free at leisure. During your free time you can explore the local market and temples in Rishikesh or lie near the Parmarth Ghat to attend the aarti ceremony of holy Ganga River. An overnight stay in the hotel. In the morning after breakfast, we will check out from the hotel in Rishikesh and leave by road for Uttarkashi, which is about 165 kms away and take us around 6 to 7 hours to reach. We will be driving beside the narrow Bhagirathi valley. 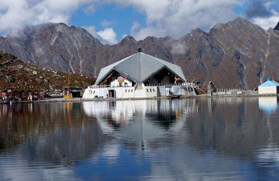 Also, we will pass through various stunning hill towns such as Tehri, Chamba and Chiniyalisaur. On reaching Uttarkashi, check in at the hotel and rest for some time. The rest of the day is free at leisure. During the free time you visit the renowned Kashi Vishwanaath temple or stay back in your hotel while enjoying its modern amenities. An overnight stay in the hotel in Uttarkashi. Post breakfast in the morning, we will check out from the hotel in Uttarkashi and leave by road for Gangotri, a famous holy place among Hindu devotee. It is one of the four Dhams of Chota Char Dhams of Uttarakhand. 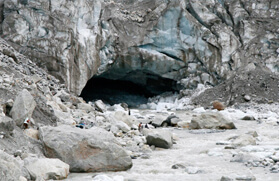 According to the legend, it is believed to be the birth place of Ganga on earth. On reaching Gangotri, we will check in at the pre-booked hotel and get freshen up to visit the Gangotri temple to offer prayer to Goddess Ganga. The rest of the day is free at leisure. During your free time you can explore the nearby places and spend quality time. 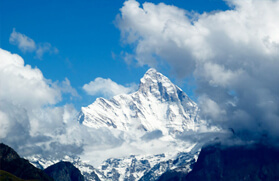 Enjoy an overnight stay in the hotel in Gangotri. After breakfast in the morning, we will check out from the hotel in Gangotri and trek to Bhoj Kharak, which is about 8 kms away and takes around 4 to 5 hours. The track will take us through the banks of Kedar Ganga River. Also, we will be crossing over a dense Cedar and Birch (Bhoj Patra) forests. This trekking route is a little difficult, but keeps trekkers amazed with scenic natural beauty and waterfalls that come on the way. 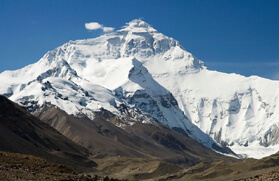 On reaching Bhoj Kharak, we will set a camp for dinner and an overnight stay. Today after breakfast in the morning, we will trek to Kedar Kharak, which is about 4 kms away. However, the route is little exhausting due to various steep climbs that will come on the way. We will be crossing through the forest of birch trees and reach the stunning meadows, where our camp will be set to relax, have meal and have a comfortable overnight stay. In the morning after breakfast, we will trek from Kedar Kharak to Kedar Tal, which is one of the difficult tracks and required 4 to 5 hours. The route goes through the path with scattered loose rocks and boulders. 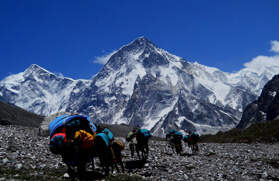 Trekkers need to boost their moral because the end result of the trekking will leave them with many lifetime memories. They will get an opportunity to witness the most excellent works of nature. 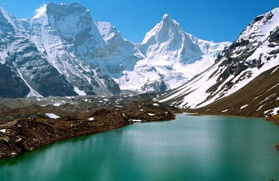 On reaching Kedar Tal, we will explore the beautiful glacial lake with magnificent Thalay Sagar Peak located behind it. 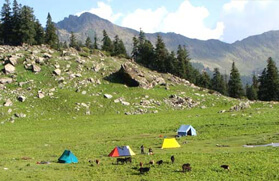 Enjoy an overnight stay in the tents at Kedar Tal. 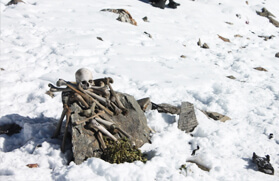 Day 07: Kedar Kharak - Bhoj Kharak Trek 3 - 4 Hrs. We will start our day a little early in the morning to see the changing shades of the rays over the Thalay Sagar as the sun rise. The day is free at leisure till lunch to explore the scenic beauty of the place. After lunch, we will walk back on the trail to Bhoj Kharak. 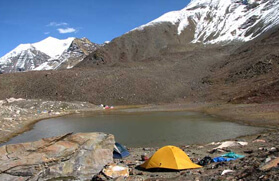 Take pleasure of camping stay in tents in Bhoj Kharak. Today, we will have an early morning breakfast and thereafter, we will walk down to Gangotri town, which will take about 3 to 4 hours. From Gangotri town, we will drive to Uttarkashi via Harsil. On reaching, check in at the already booked hotel in Uttarkashi and enjoy delicious dinner followed by an overnight stay. On the last day of our tour after breakfast in the morning, we will check out from the hotel in Uttarkashi and drive to Haridwar railway station to catch an AC train at 18:05 hrs for Delhi. We will be reaching Delhi by 22:45 hrs. End of tour and services. 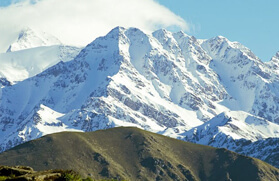 Where to Go for Trekking Experience?